I am going to the NYC wine & food fest (oct. 17-20, 2013) this year and taking the whole family!! So excited! 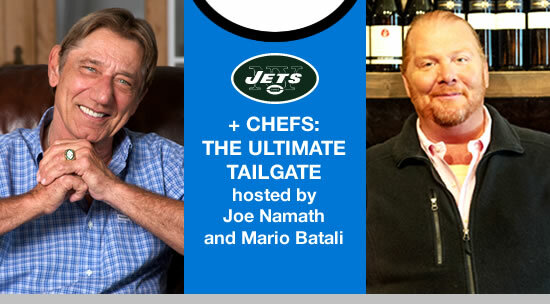 Specifically we are attending the event below with Joe Namath and Mario Batali. I plan on attending some of the other events as well but the one below will absolutely make the boys go crazy with happiness. BTW, this is not a sponsored post, I am attending the festival because I love this event and it supports a wonderful charity. 100% of the net proceeds from the festival benefit the Food Bank For New York City. I will post pictures and all the details, of course!